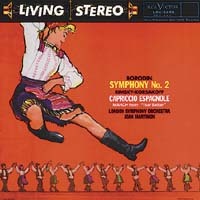 One of the best UK Living Stereo's with very good dynamics. A Kingsway Hall recording. Coupled with Rimsky-Korsakov's Capriccio Espagnole.